The pool is located at 701 Maple Street, Overbrook, KS 66524. For more information you can call them at, (785) 665-7939. 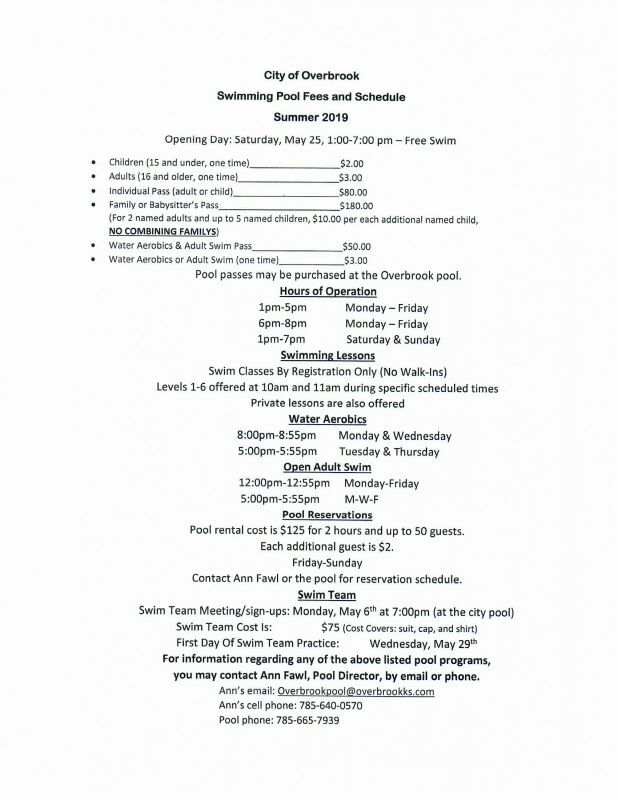 You can also check out their facebook page at Overbrook City Pool. Check out flyer below for more information on the 2019 Season! You can also find the 2019 forms below.